Bruce has been serving in full time church ministry positions since 1990. 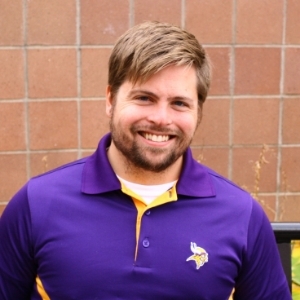 For the first twenty years of his ministry life, he was a youth pastor at two different churches in Iowa before becoming the youth pastor at South Suburban Evangelical Free Church in Apple Valley, MN. Bruce left his role as the youth pastor to become South Sub's church plant pastor in Rosemount in 2010, which was the beginning of City on a Hill Church (COAH). Bruce was educated at Trinity International University and is ordained with the Evangelical Free Church of America. In addition to this church, Bruce serves on the board of directors for Lakota Journey Inc., volunteers as a chaplain with the Rosemount Police Department, and runs around outside when it's really cold because he's just a bit crazy like that. Bruce and Jennifer were married in 1992 and have four wonderful children and one, maybe two, dogs.